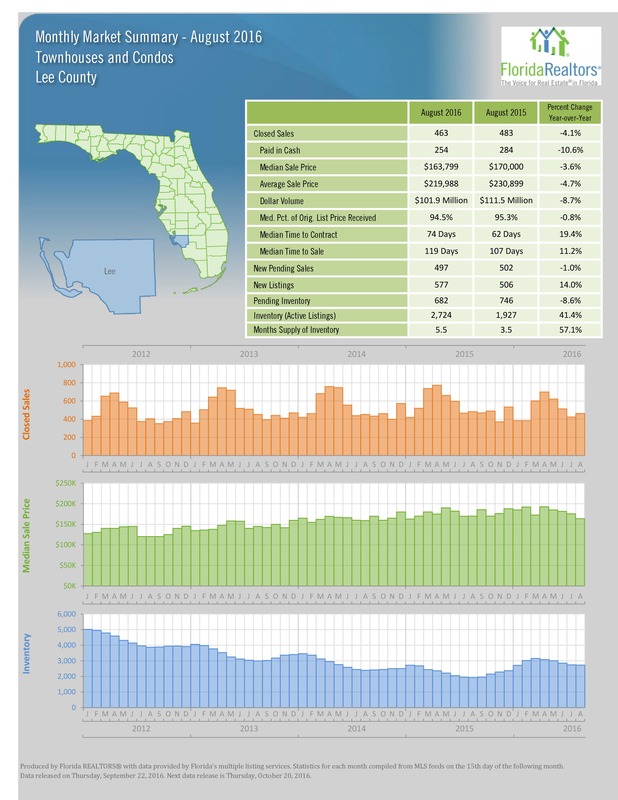 (Fort Myers, September 22, 2016) – Active Listings rose in August for Single Family Homes and Condos in the Lee County area. Inventory is also up over the last year, as well as final sale prices. There was a sharp uptick in the number of Townhouses and Condos that hit the market in August, as compared to the same time in 2015. 2,724 units hit the market, a 41.4% increase year-over-year. Almost 700 more Single Family Homes were listed this August, a 16% increase from August 2015. The Months Supply of Inventory is now sitting at 4.5 months, which is 21.6% more than the same time last year (3.7 months). Prices continued to climb as well. In August, the Median Sale Price was $225,000, compared to $202,245 last year, a difference of more than 11%. There was a significant rise in the number of Single Family Homes that sold in the $150,000-$199,999 range (41.4%). There was also a huge jump in million-dollar homes. 27 of them sold in August, an increase of 80%. More than double the number of Single Family Homes for sale on Sanibel and Captiva sold in August (21 homes), compared to the same month last year (10 homes). Those homes sold for a Median Sale Price of $1,050,000, nearly 25% higher than 2015. 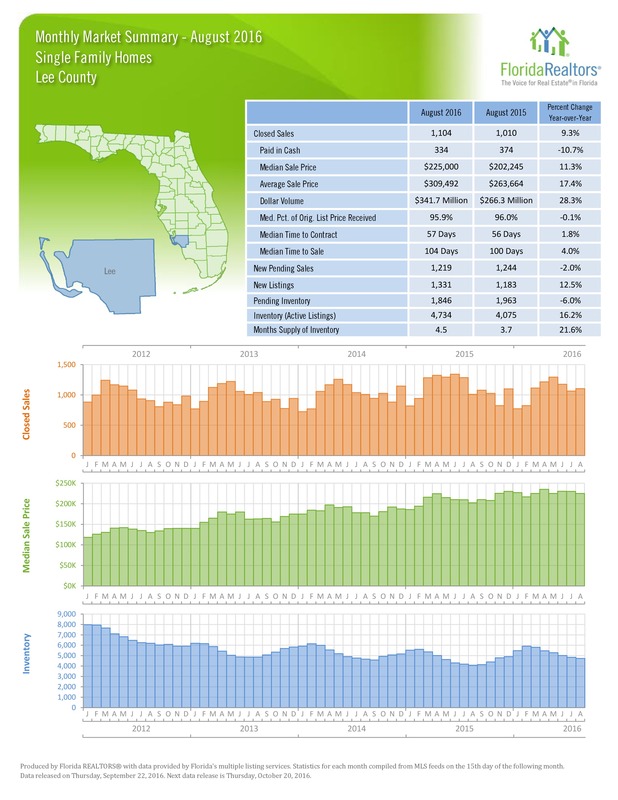 Pine Island and North Fort Myers Single Family Homes also benefitted from higher list prices. Summer Activity Indicates Promising Season Naples, Fla.
Information valid as of September 21, 2016. Please contact us for the most current information and status of these properties.